John and I were only dating about a month before I ended up in the hospital. I was 23 years-old at the time, and the prognosis was not good. Doctors removed my one infected kidney and informed me the other kidney was diseased and infected. John came to visit me, bringing a rose, each and every day of the six weeks I was in the hospital that summer. Within a year, we were married. Then, two beautiful sons and 14 years later, I began transplant proceedings. I was lucky that both of my brothers and my husband, John, were tested and matched as kidney donors. Within 18 months my remaining kidney was removed, and I went on dialysis. Finally, in February of 1998 I received an incredible gift, a kidney donated from my husband. Organ transplant has had a tremendous positive impact on our lives mentally and physically. John absolutely has no side effects from giving me one of his kidneys. He leads a physically active, busy, enthusiastic life. “There’s no reason not to give the gift of life to another person,” he says. 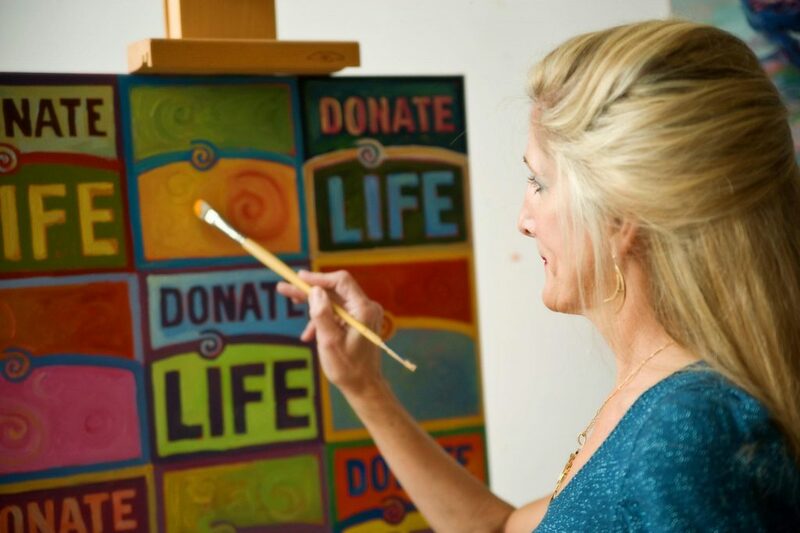 Since my transplant I have a renewed sense of purpose to promote organ and tissue donation through my paintings and artworks, also hoping people will be inspired to pursue their dreams no matter what challenges life puts in their way. I refer to John as my lottery ticket that paid off. I now know that organ and tissue donation is truly the gift that keeps on giving.